An Amarillo man whose conviction for sexually assaulting a child was reversed after experts questioned forensic evidence used against him, pleads guilty to a reduced charge. Ernie Lopez, an Amarillo man whose sexual assault conviction was reversed after experts questioned the forensic evidence used against him, pleaded guilty today to a charge of causing serious bodily injury to a child. The plea, entered during a 15-minute court appearance, concluded a case that drew national attention from ProPublica, PBS "Frontline," and NPR, and stirred debate about the science used to win other child homicide and sexual assault convictions. In a series of reports, the three news organizations examined two dozen instances in Canada and the U.S. in which people were wrongly accused of killing children. Today, Lopez, dressed in a gold shirt and matching tie and surrounded by family, barely spoke as he was sentenced to time served for a single felony charge. Afterward, he and his family members declined to comment. Under the terms of the plea agreement, he is prohibited from proclaiming his innocence or encouraging anyone else to do so. In 2003, a jury found Lopez guilty of sexually assaulting Isis Vas, a six-month-old child he had been babysitting. During the trial, hospital workers and a medical examiner provided the key testimony, describing bleeding in the child's genital area and bruising on multiple areas of her body. Vas died a day after being hospitalized. The jurors sentenced Lopez to a 60-year prison term. Lopez, however, insisted he'd never harmed the child. After a host of medical experts challenged the evidence at the heart of the case, the Texas Court of Criminal Appeals last year overturned his conviction, ruling that Lopez had received ineffective legal representation during the trial. Dr. Michael Laposata, the top pathologist at Vanderbilt University Medical Center, reviewed hospital records and concluded that Vas had been afflicted by a severe blood-clotting disorder that caused her to bruise and bleed. 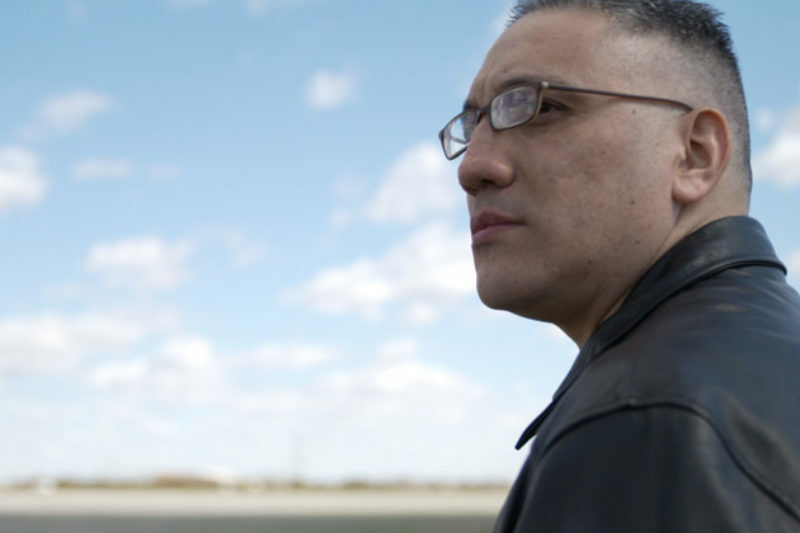 The reversal allowed Lopez to return home to Amarillo and restart his career as a machinist, but his freedom was restricted. He had a 10 p.m. curfew and was required to wear an electronic monitoring bracelet. He was forbidden from being around young children. Lopez also was promptly confronted with the possibility of standing trial for a second time when Potter County District Attorney Randall Sims refiled sexual assault charges. By agreeing to the plea arrangement, Lopez is spared the possibility of being hauled back into a prison cell. The constraints on his freedom have been lifted. Sims said he made the right choice in deciding to prosecute Lopez a second time. "I think he's wound up pleading guilty to the charge that he committed," Sims told NPR, adding that he remained convinced by the evidence. The prosecutor pointed to a polygraph test in which an expert found that Lopez allegedly answered questions deceptively concerning whether he had harmed Vas. During earlier court hearings, experts for Lopez raised questions about the veracity of the test. In the plea deal, Lopez waived his right to challenge the test. Lopez's former attorney, Heather Kirkwood, said the plea bargain "is what the DA requires you to sign in exchange for your freedom." "After nine years of false imprisonment, freedom has been pretty good to Ernie," Kirkwood said. "He has a good job, he is surrounded by supportive friends and family, he is reunited with two of his children. There's a lot to be grateful for." Kirkwood stressed that she is no longer advising Lopez and, thus, is not restricted by the terms of the plea deal. Outside legal experts said they weren't surprised Lopez had accepted a plea deal. Veteran defense lawyer Stuart Hanlon said he would've encouraged Lopez to agree to the plea bargain rather than risk a second trial. "Unless the client said they would never plead guilty, I would say to this person they should take the deal," said Hanlon, who recently handled the case of a man accused of killing a 3-month-old infant. San Francisco prosecutors eventually dropped the charges. "There's a presumption of guilt in these cases, not a presumption of innocence." Sims told NPR his office had invested 4,000 hours into the case and was certain that justice had been served. "I'm confident," he said. "Mr. Lopez and I shook hands after it was over with. In fact, we shook hands with everyone in the courtroom." Mark Haslett of High Plains Public Radio contributed to this report.